Combines laser photo therapy that sends nourishing, low level laser light energy into your hair with bio stimulating vibration technology to stimulate circulation. Type: Laser Comb. 1 x Laser Comb. Stop hair loss and makes hair grow thicker, stronger and healthier. Type: Hair Growth Comb. Frequent use of soft infrared in radiating hair follicles can accelerate hair growth. Convenient to clean and massage the scalp. Color: White. Size: approx. 4.3 3.8 21.5cm. ●With its effectiveness and power, this device can provide a series of benefits in successfully stimulating hair growth by developing increased blood circulation on your scalp. ●The key to treating hair loss is lasers, but all lasers are not created equal. This direct stimulation of the follicles results in promotion of hair growth. ●The key to treating hair loss is lasers, but all lasers are not created equal. The lasers are precisely tailored for maximum hair growth. Regulate oil secretion, promote hair health, improve hair quality. Function: Infrared Physiotherapy, Massager. Frequent use of soft infrared in radiating hair follicles can accelerate hair growth,and strengthen the hair's tightness, proximity and flexibility. 1 x Manicure Set. - Combines Laser Photo Therapy that sends nourishing, Low Level Laser Light Energy into your hair with Bio Stimulating Vibration Technology to stimulate circulation. - 1 x Massage Comb. 272 premium laser diodes, situated for full scalp coverage. re-grow your hair. - Advanced cooling technology to protect lasers. The Capillus82 features 82 5mW laser diodes that provide great coverage in just six minute daily sessions. Having been prescribed by physicians for years, The Capillus82. IS THE CAPILLUS82 RIGHT FOR YOU?. 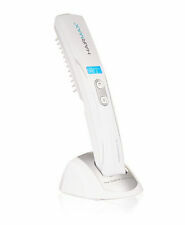 Authentic Raymax Professional Salon 80 Laser unit For Hair Loss,Thinning and Hair Regrowth! I'll be buying your new model soon enough! Not that the other one isn't still working after a years use, I just wanna have a back-up. Put your mind at ease with a solution that is not only affordable, but actually WORKS. Spare yourself the risk of harm or fraud by ensuring that the product you are considering has been cleared for use by the U.S. Food and Drug Administration (FDA). Provides full scalp coverage on areas most affected by hereditary hair loss. Condition: recertified. Universal AC Adapters. SPENCER FORREST X5 HAIR LASER Light Therapy for Thinning Hair Therapy Great Cond. Condition is Used. Shipped with USPS Priority Mail. Very gently used system for sale. Aquired at an estate sale and have no need for it. Powers on and seems to funtion as it should. Condition is Used. used like new, box papers, everything! as shown, wiped down already & w alcohol swabs to been 100% ready to go/use. Used for less than one year. Item is also under warranty. Its ease of use encourages compliance for maximize results. You can wear with the provided hat or any other of your preference. The CapillusRX includes a 2 year manufacturer warranty. 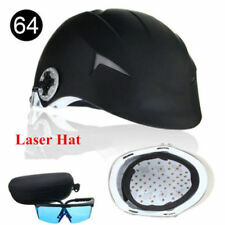 Kiierr272Premier Laser Cap - Laser Hair Regrowth Cap - FDA Cleared (Women & Men). Condition is New. Shipped with USPS First Class Package. Hairclub Extreme Laser Comb.#HM3 V5.2 Hair Treatment,Hair Regrowth, Laser Comb. Condition is Used. Includes comb, charging base, and charging cable. Low-power laser beam irradiation Shike Jia scalp hair follicles hair growth and strengthen hair, fastening itself, density and flexibility of the hair, so glossy black hair. 1 manicure set. On the immune system disorder alopecia. Low-power laser beam irradiation Shike Jia scalp hair follicles hair growth and strengthen hair, fastening itself, density and flexibility of the hair, so glossy black hair. On the immune system disorder alopecia. There are so many different Laser Hair Combs but there is only ONE Nutreve Personal Hair Therapy Laser. When you need results, you need the Nutreve PHTL! The short bursts of energy cause positive follicle cellular response without unnecessarily heating the cells when compared to other constant wave laser devices, providing a superior result. 272 Laser Diodes - 5x More Effective Than Rogaine! Net Weight: 100g. Type: Laser Therapy. Product Line: Hairmax Laser Comb. Hair Type: All Hair Types. Formulation: Laser. Shade: REFER TO PICTURE. 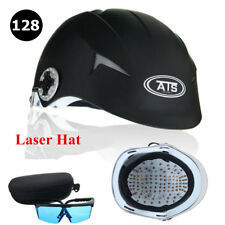 FDA Cleared Laser Cap 272 for Your Hair. Low-level laser therapy is a non-invasive, safe, and clinically proven way to stimulate hair follicles to grow thicker and fuller hair without negative side effects. 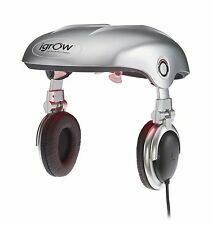 Item Type: Hair Growth Therapy Laser Comb（A B）. Comb Size: About 18.5 4.8 4CM. 2 x Combs( Include A B Comb). Vibration: It provides a comfortable scalp massage,increasing circulation and blood flow to help accelerate the hair growth process.